Hi, my name is Tom Klint. I have been helping people like yourself file for disability benefits for over 30 years. When I was a young lawyer, the firm I was with needed someone to represent their disabled clients in the Social Security field. Because of my life experience, I stepped forward and took over the Social Security department. I transformed it into one of the largest and most respected Social Security Law Firms in the Midwest. 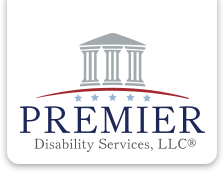 In 2010, I began Premier Disability Services, LLC®. This company was started on the principles that have driven me my whole career as a lawyer – “If you care about people and work hard for them, good things will happen.” I know how disabilities affect families and their loved ones. I have personally experienced how Social Security Disability benefits can change a person’s life. It all started when my oldest brother broke his neck playing football and became a quadriplegic when he was 15 years old. The Social Security disability benefits and medical benefits helped my brother get through college, business school, and finally attending law school with me at the University Of Minnesota. That was not all; my youngest sister was born with Downs Syndrome. Again, I had seen how Social Security, Medicare and Disability benefits allowed my sister to live outside the home when she became an adult. Lastly, my other brother suffered from Post-Traumatic Stress Disorder from his service in Vietnam. I assisted him with obtaining Social Security Disability and VA benefits. Without Social Security Disability benefits and Medicare, this would not have been possible. My Passion for helping people can be found in every team member at Premier Disability Services, LLC®. Every new employee sits down personally with me, and I explain my passion to help people. All team members are committed to helping all clients like I was committed to helping my family. We treat everyone like family at Premier Disability Services, LLC®. This is merely the Premier way. If you are looking for a company that genuinely cares about you, Premier’s the one. Most importantly we understand what you are going through and know how significant these benefits are to you and your family. Contact us today to speak to one of our caring team members, or complete a free evaluation.